Here are a few "Before" shots of a client's bathroom. feel like he was outdoors on a cloudy day. 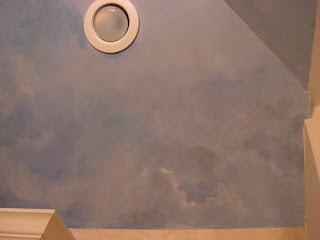 result was worth it, and my client was elated with his cloudscape. pictures, happens to be my favorite part out of the whole ceiling!